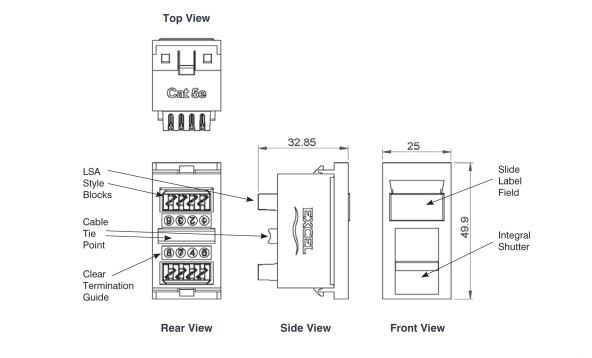 Excel Category 5e RJ45 Screened modules comply with the EIA TIA Standard for enhanced Category 5. Each shuttered module is supplied with a slide label field and space above, this is allowed for use of self adhesive or further labelling if required. Termination can be made using Krone tooling, a cable tie base is positioned to the side of the IDC blocks to relieve cable stress.